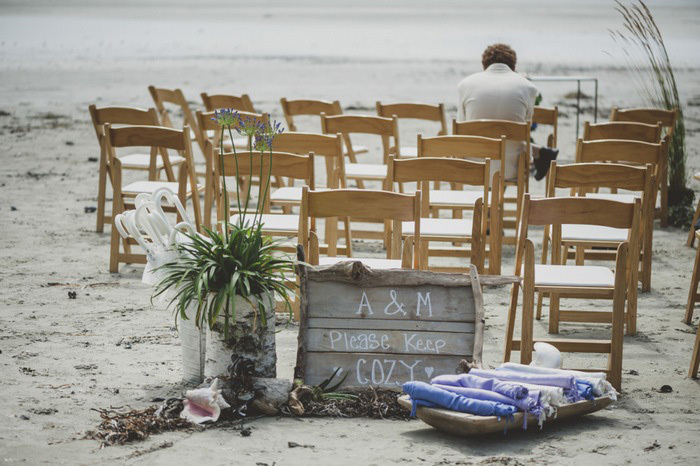 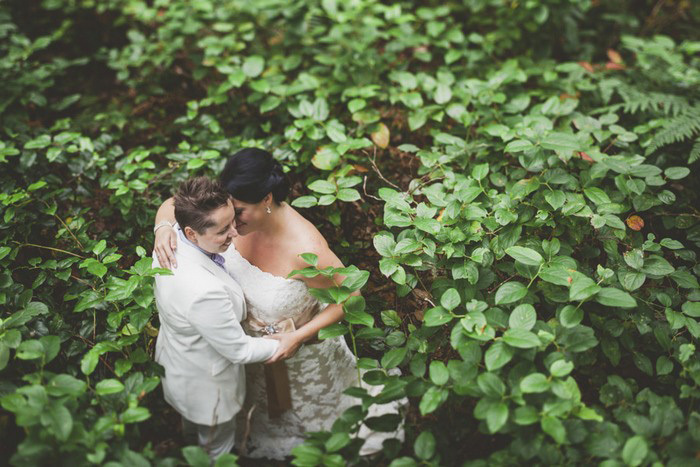 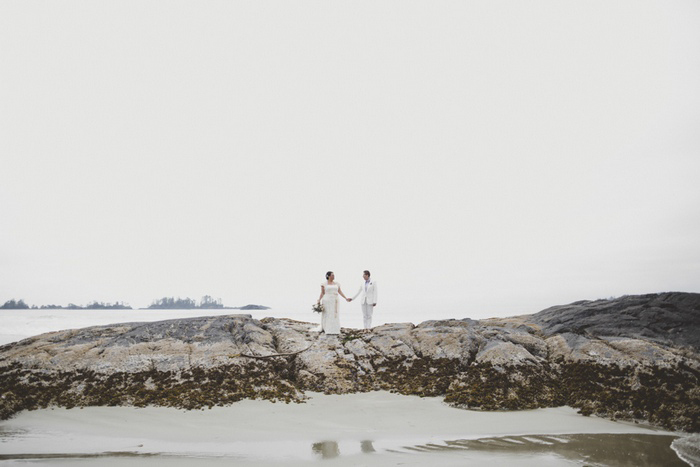 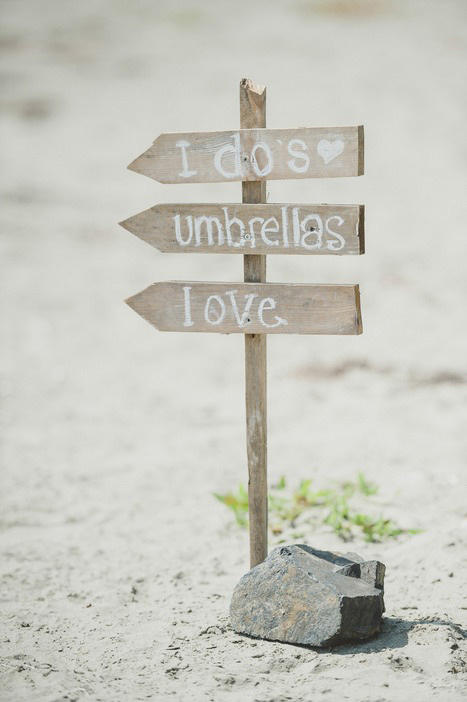 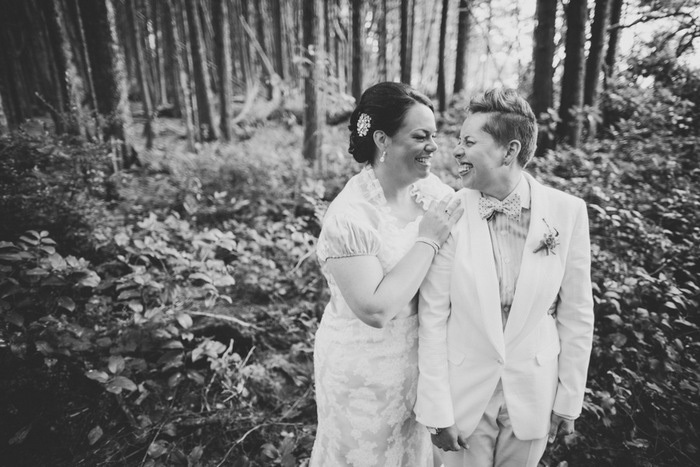 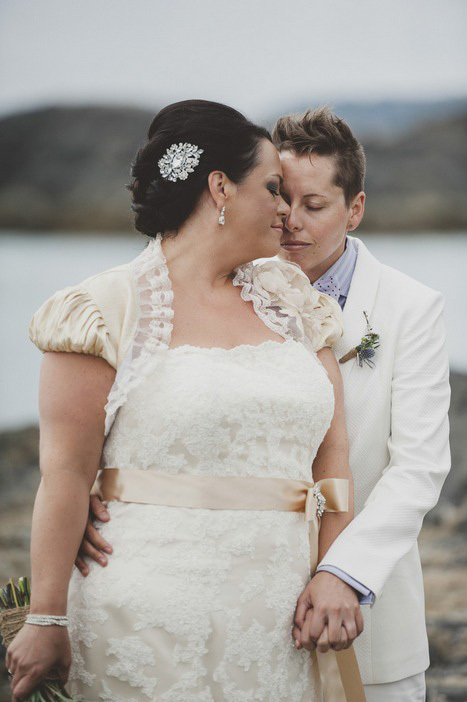 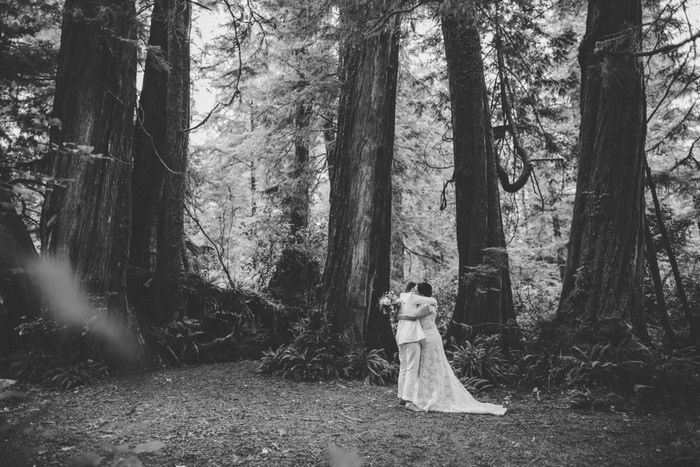 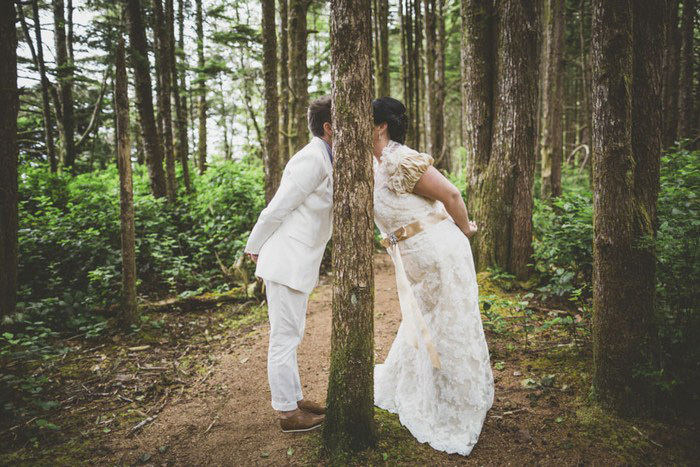 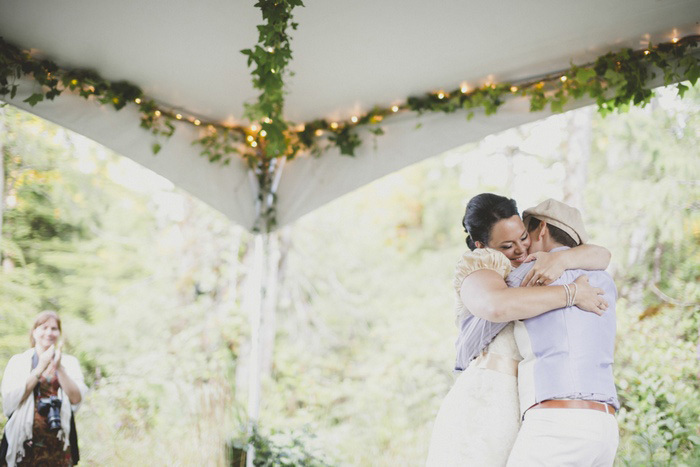 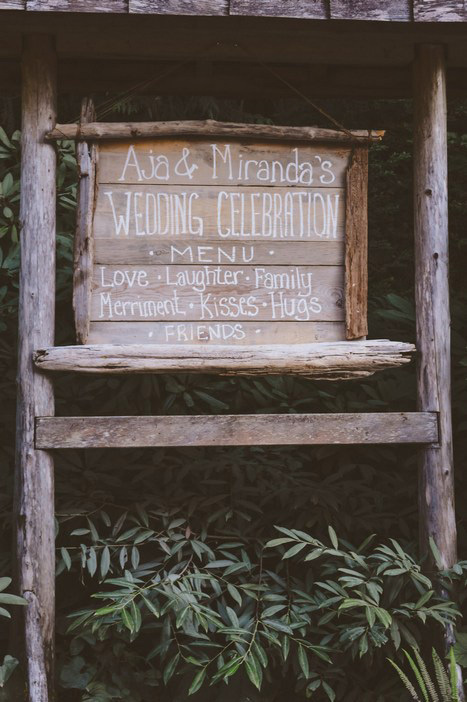 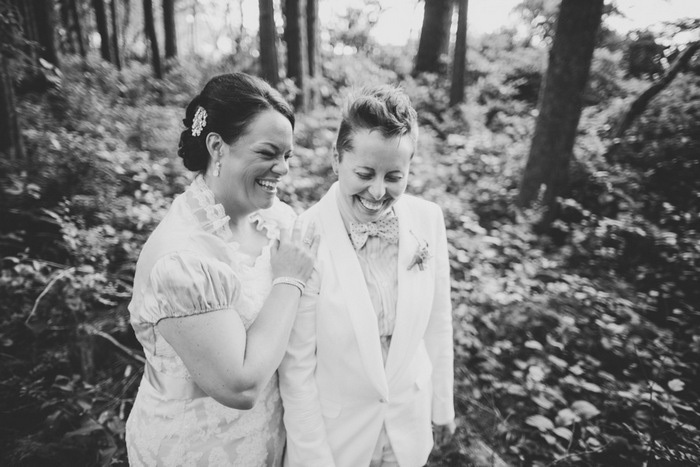 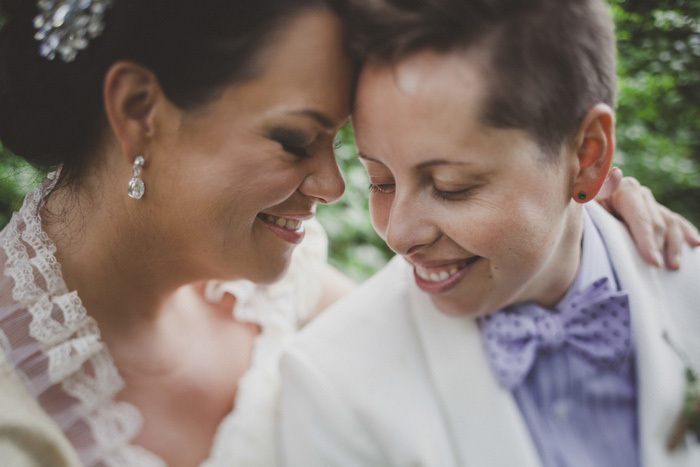 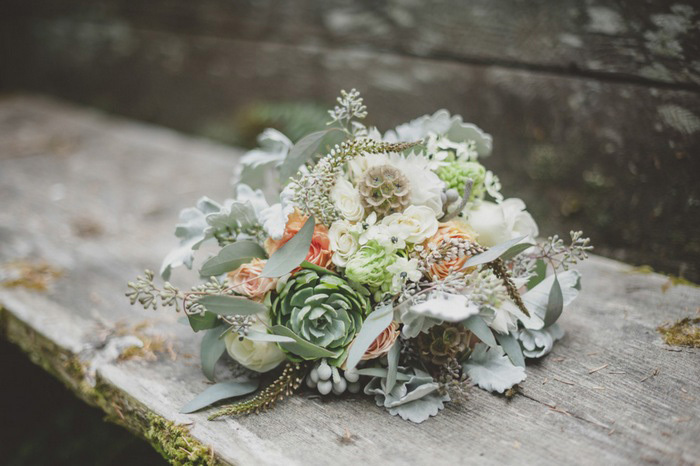 Wanting a destination wedding, Aja and Miranda chose Tofino, where they first met, as the perfect location for their big day. 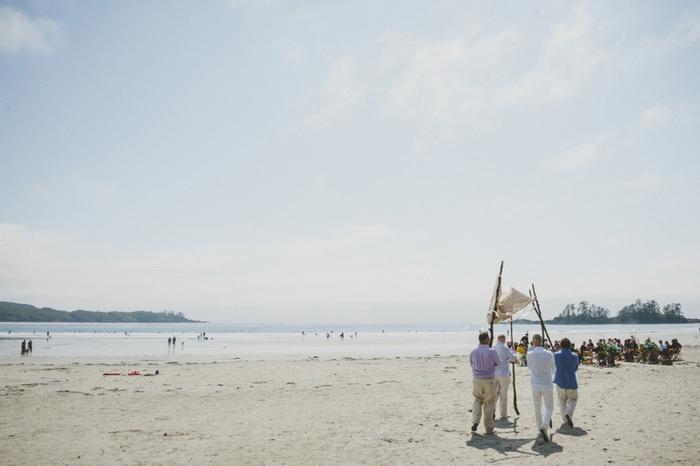 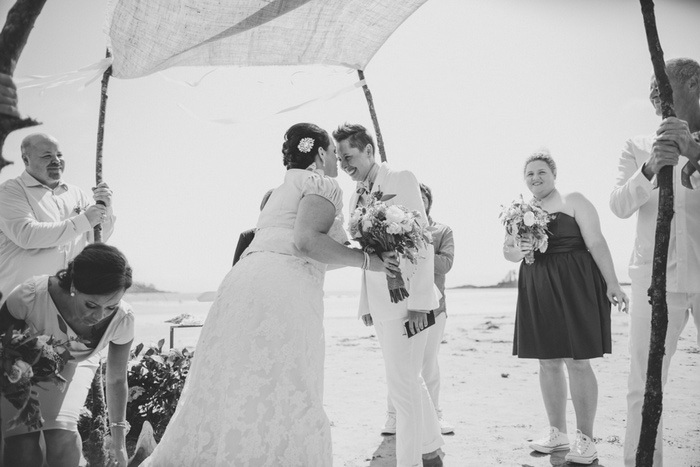 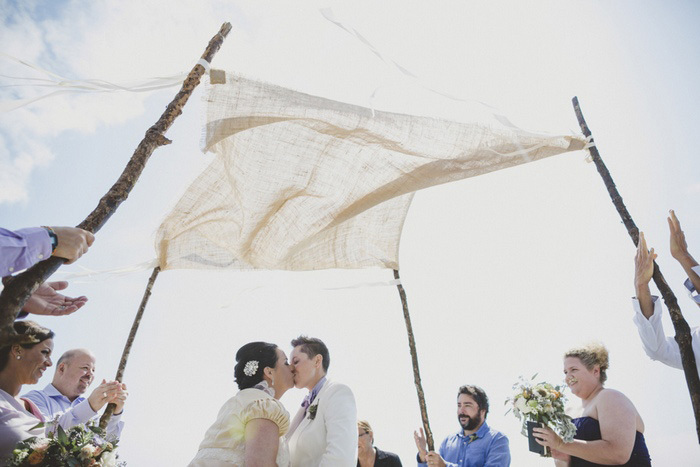 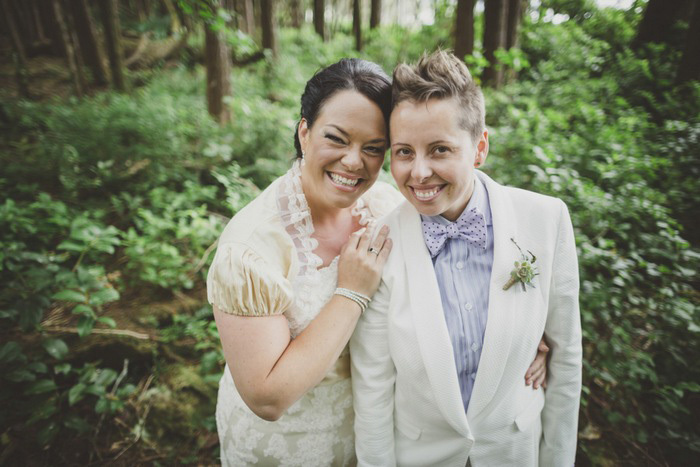 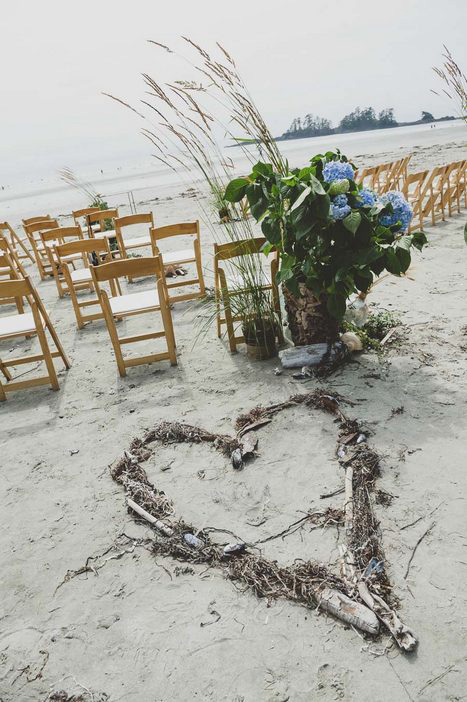 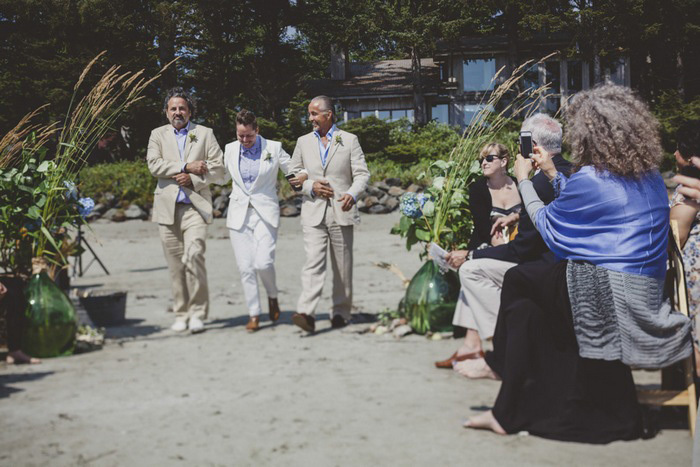 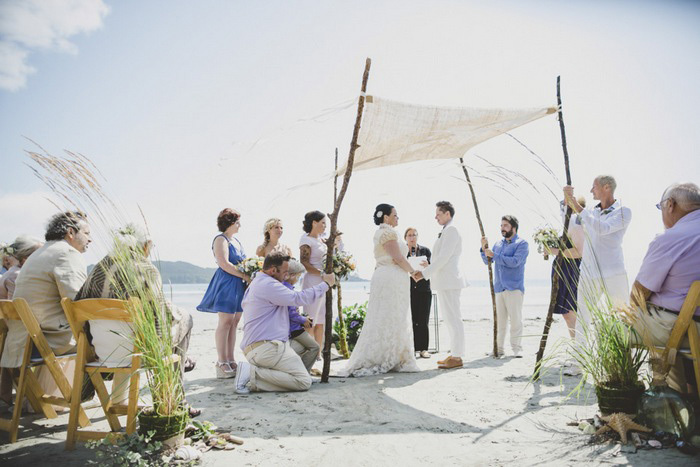 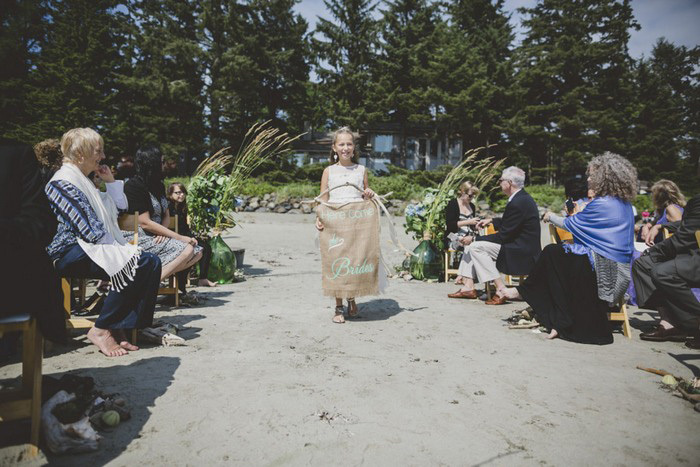 Their ceremony was held on Chesterman Beach and the couple exchanged their vows by the sea in front of 75 of their closest friends and family. 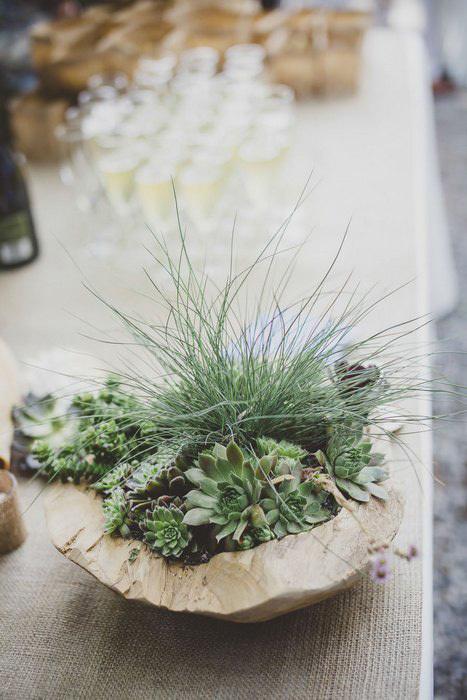 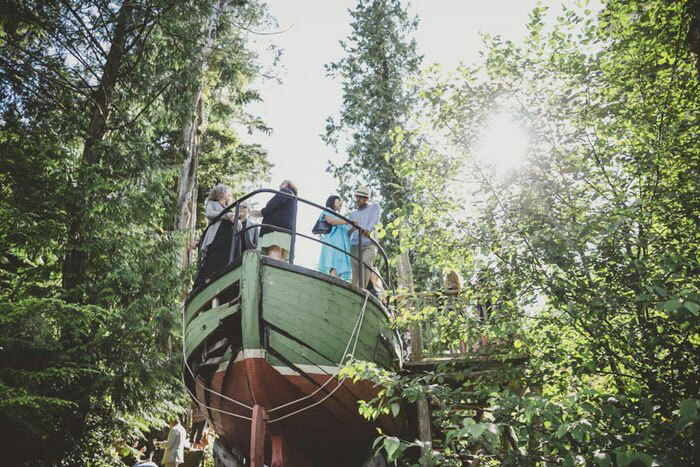 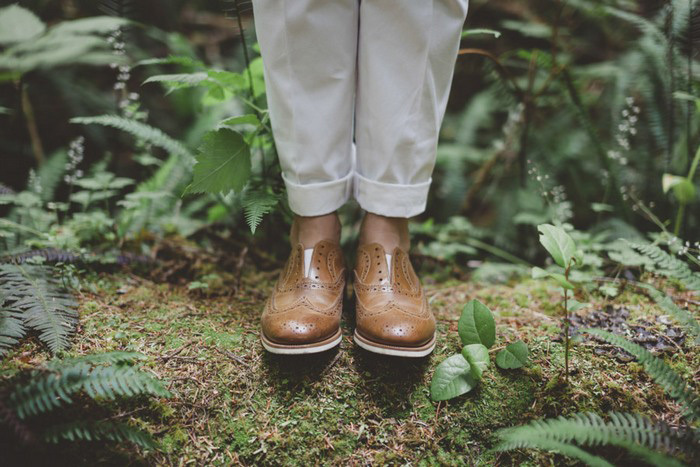 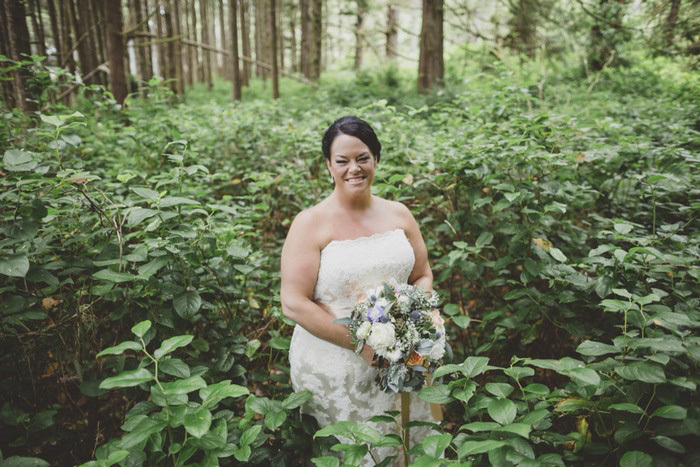 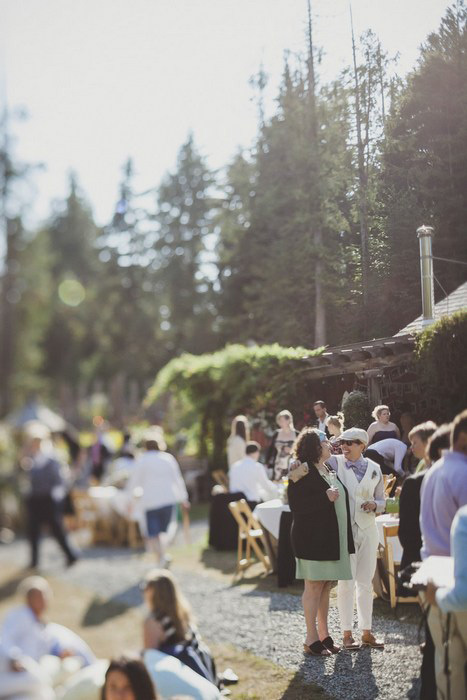 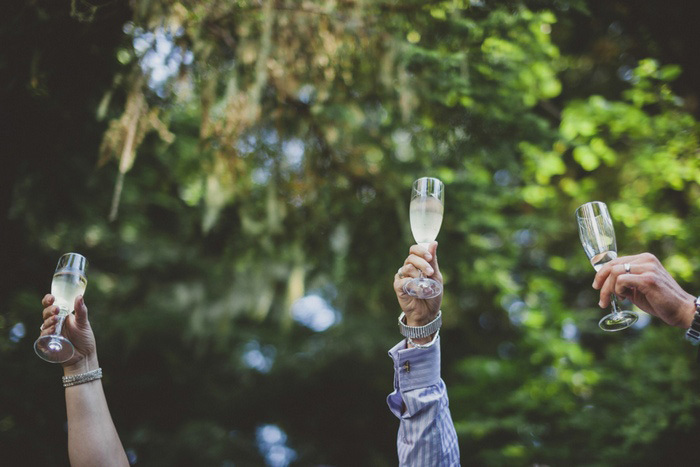 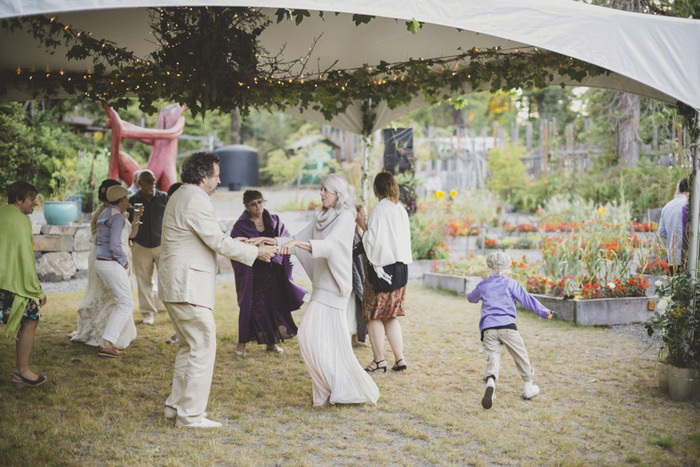 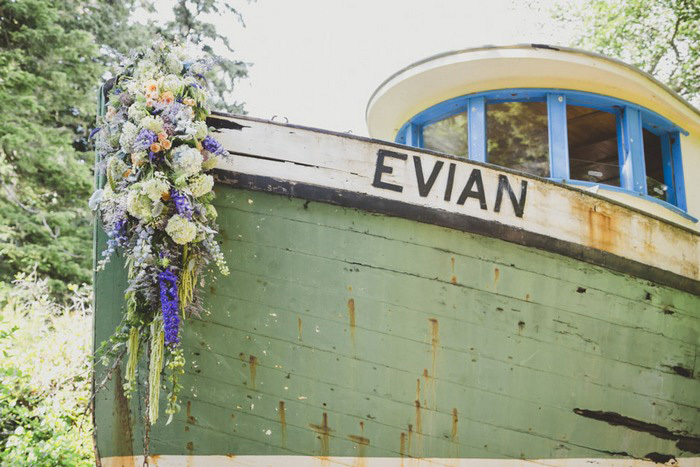 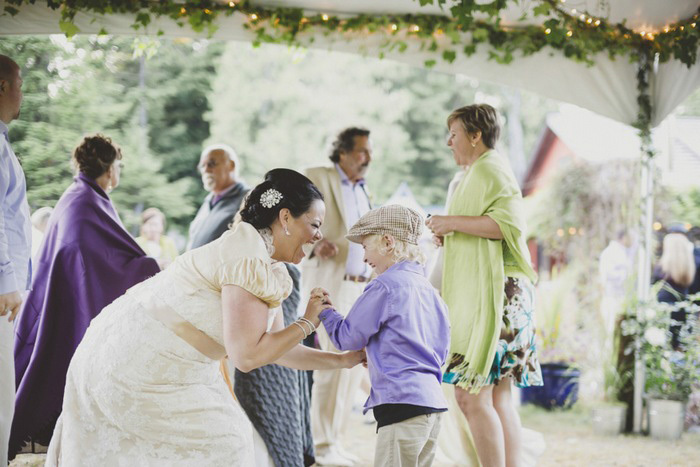 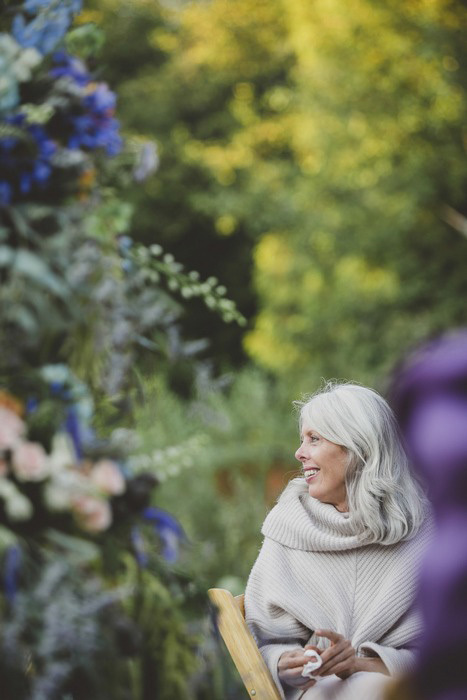 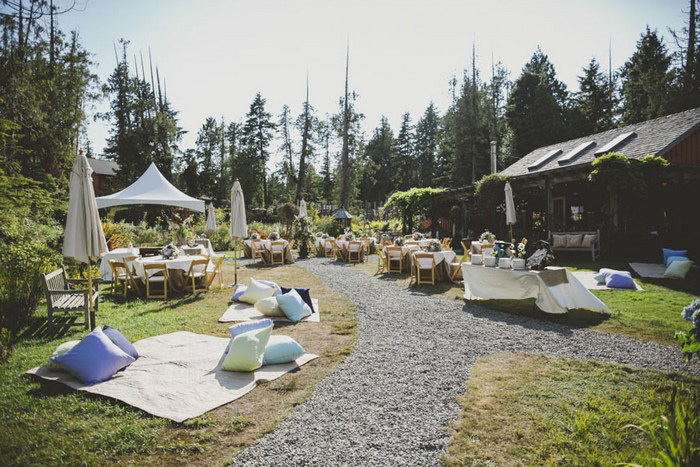 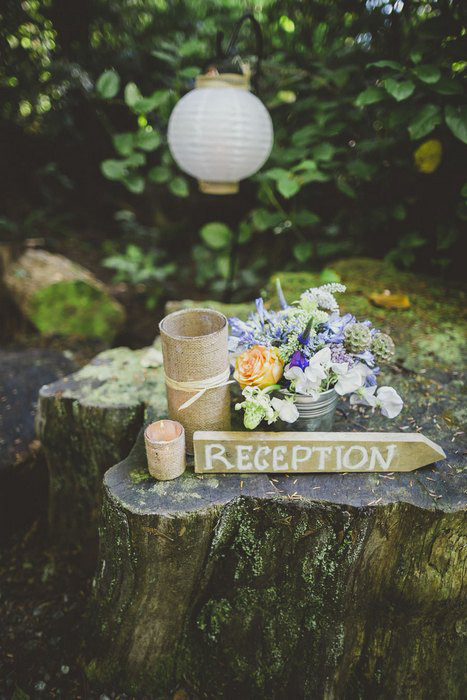 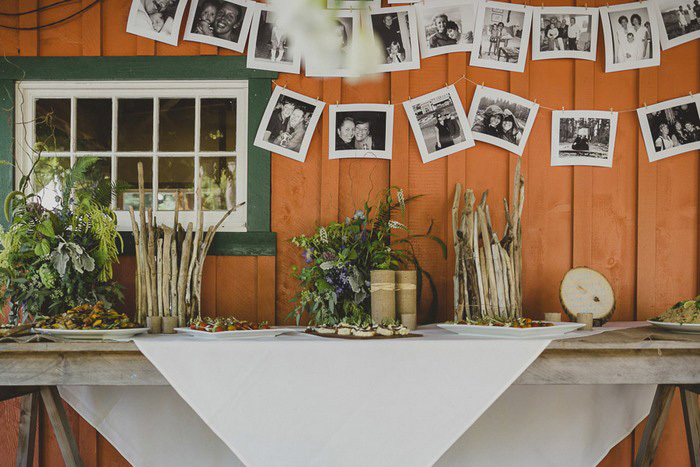 Following the ceremony, the brides and their guests headed over to the Tofino Botanical Gardens for a beautiful outdoor reception. 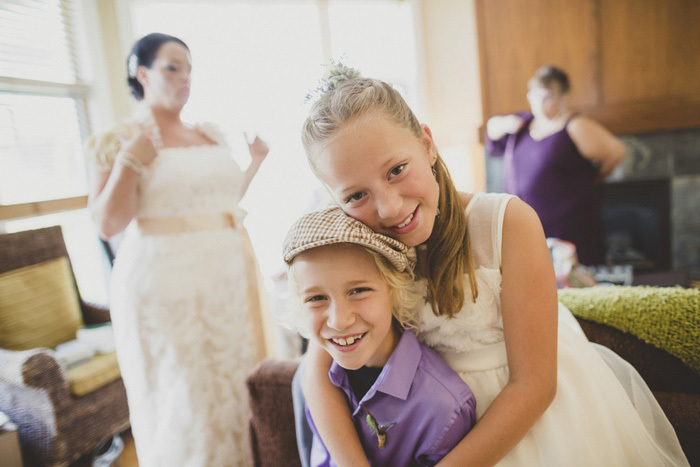 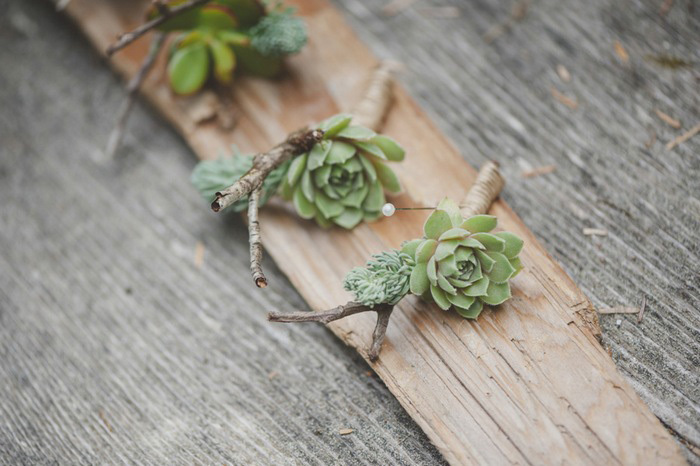 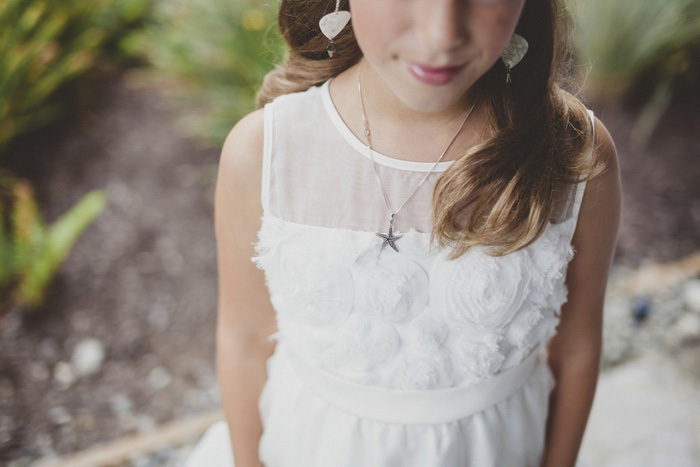 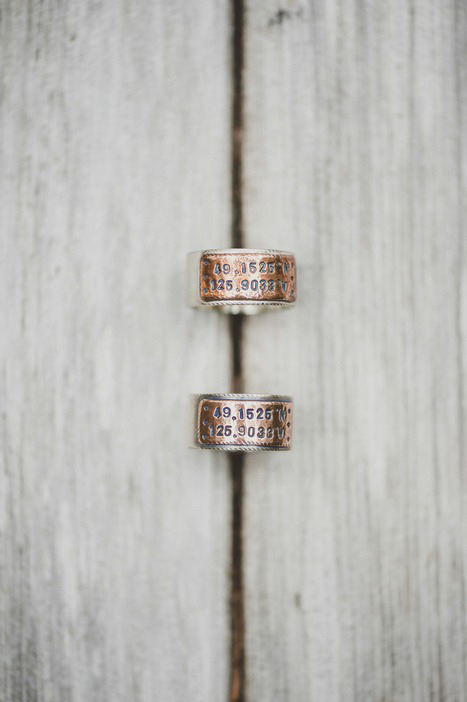 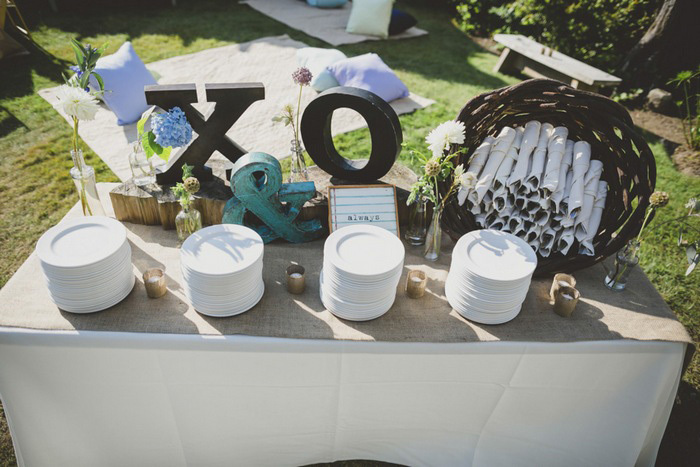 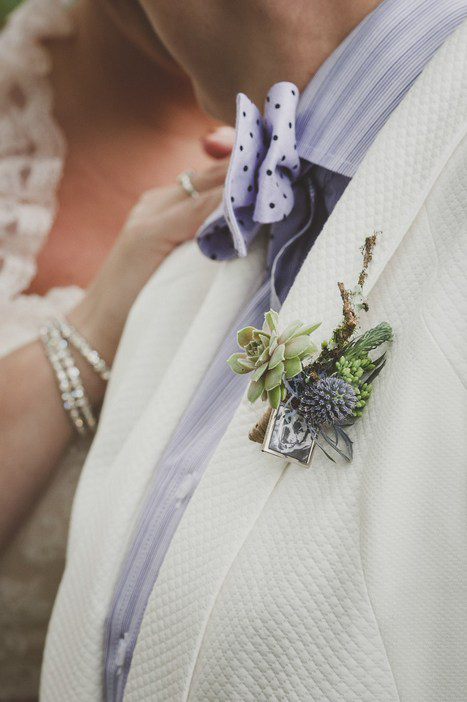 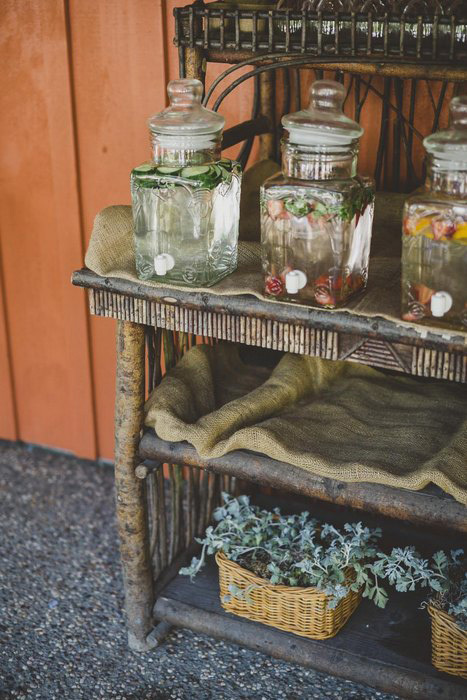 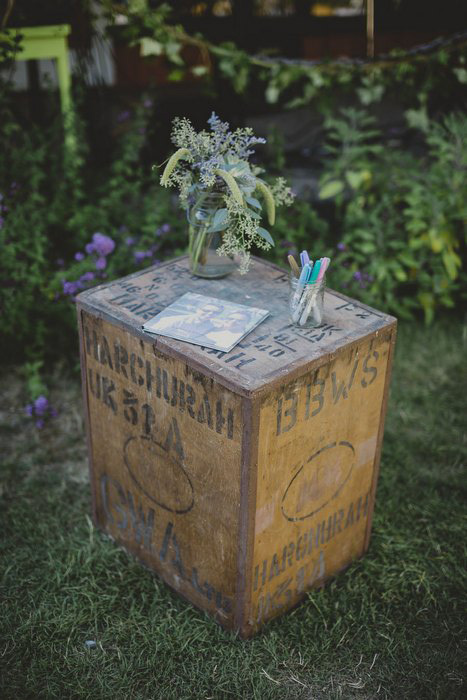 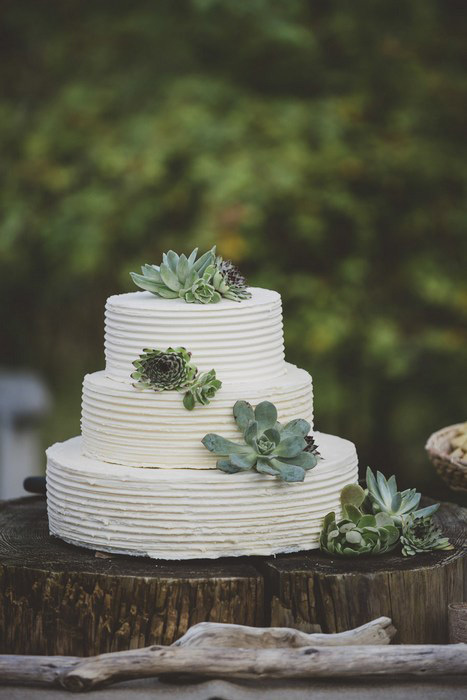 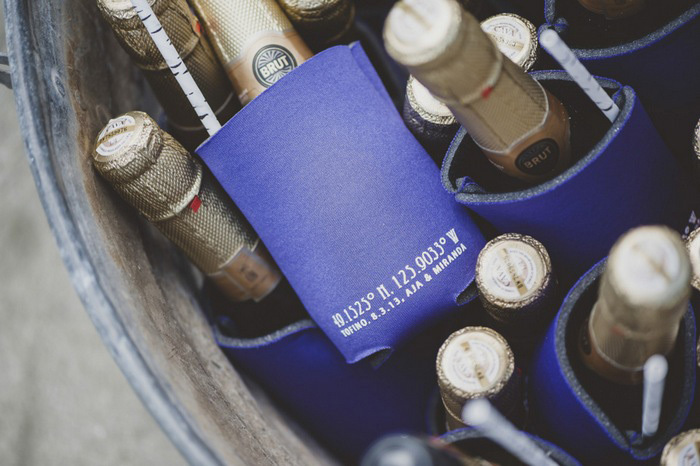 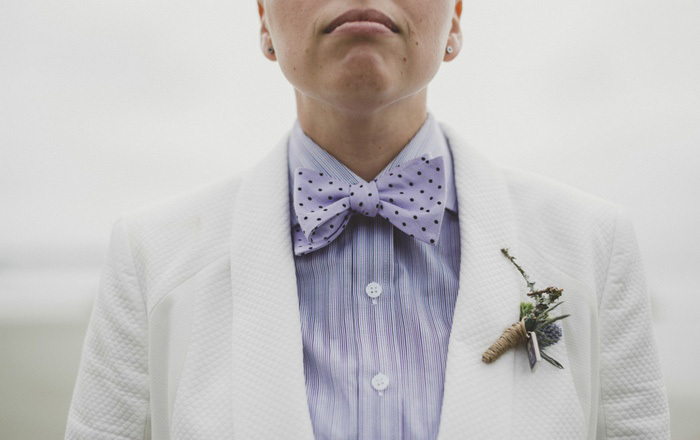 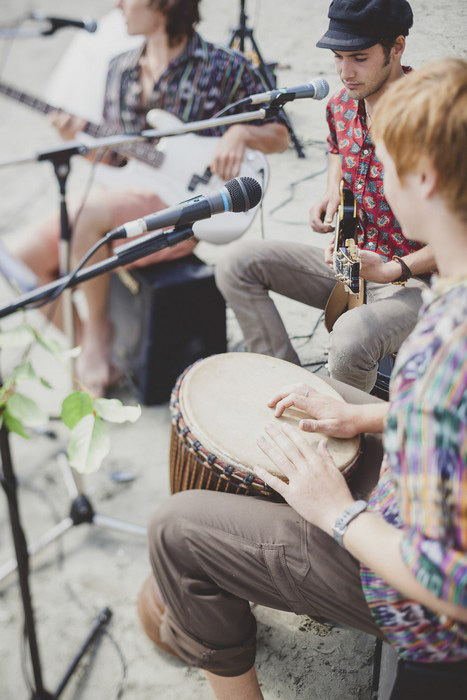 Special thanks to the talented duo at Ameris Photography for sharing the gorgeous photos with us! 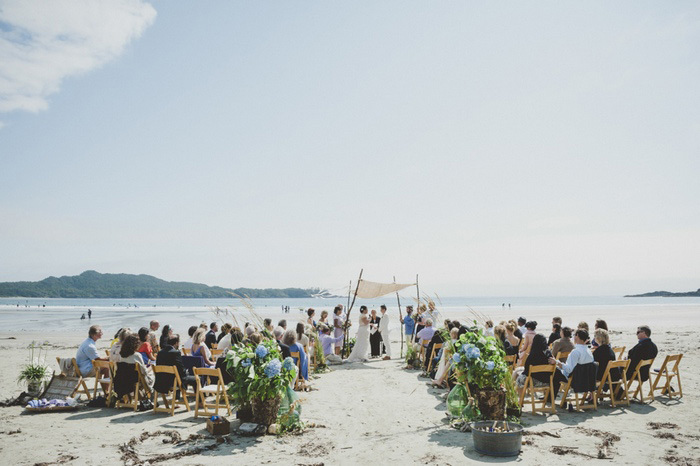 We wanted a destination wedding so we knew we had to try to keep it small. 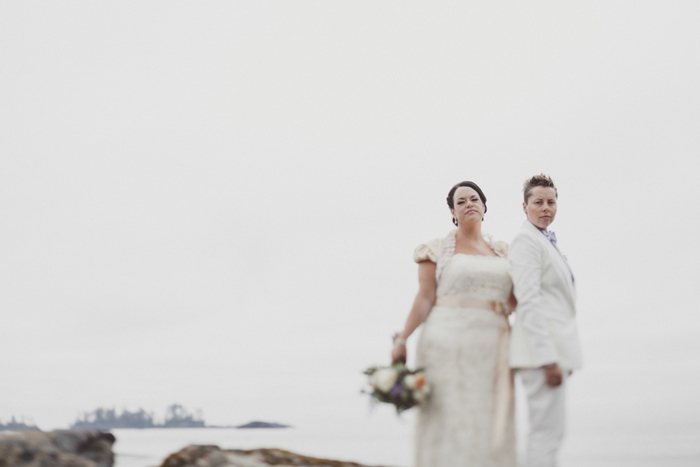 Most of my family came from California and Miranda’s from Ontario. 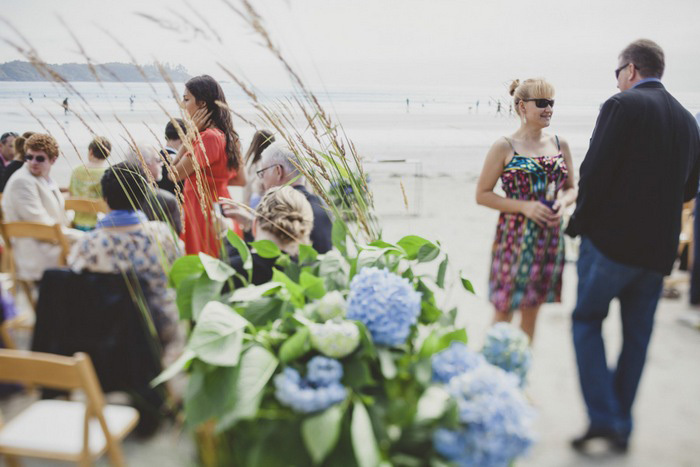 Because we met in Tofino about 40 of our guests were local. 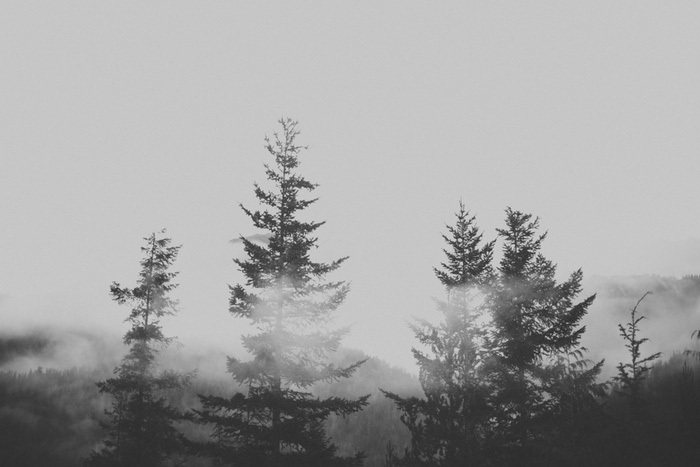 The remoteness of the location was our biggest challenge. 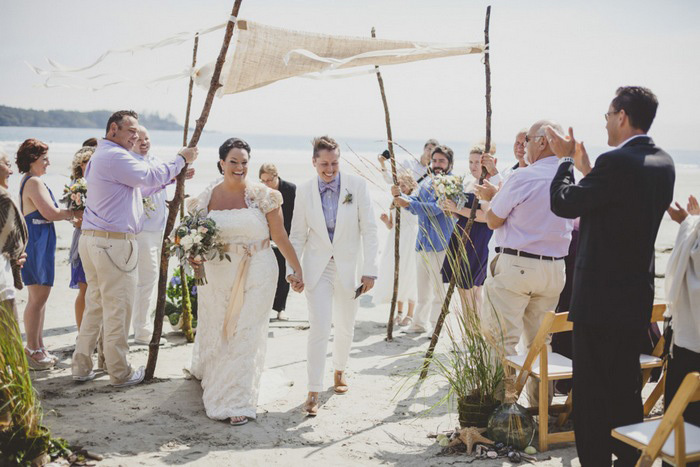 Walking onto the beach for the first time, seeing the site and bursting into tears – it was like a dream. 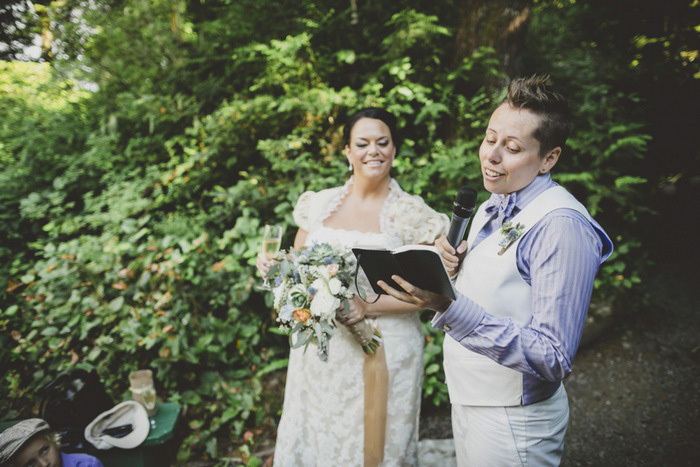 We did our welcome toast down away from where the main part of the reception was. 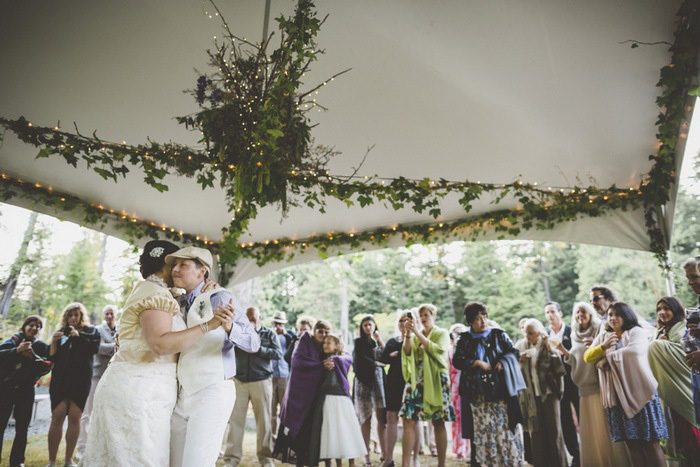 Everyone crammed into a bit of a tight area and I loved that, forcing people to meet and mingle. 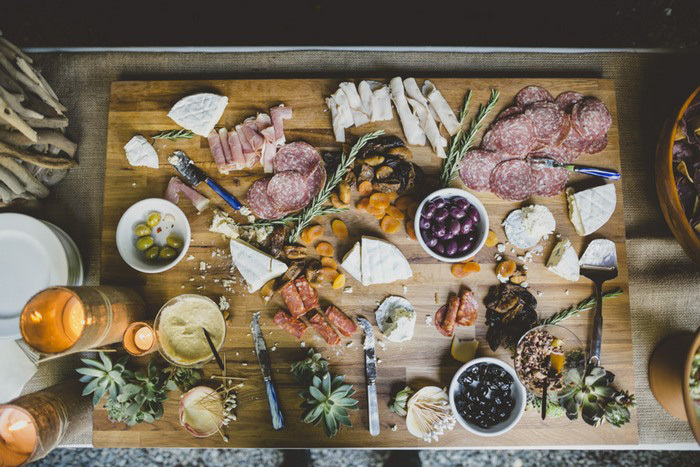 There was also an amazing charcuterie board down there. 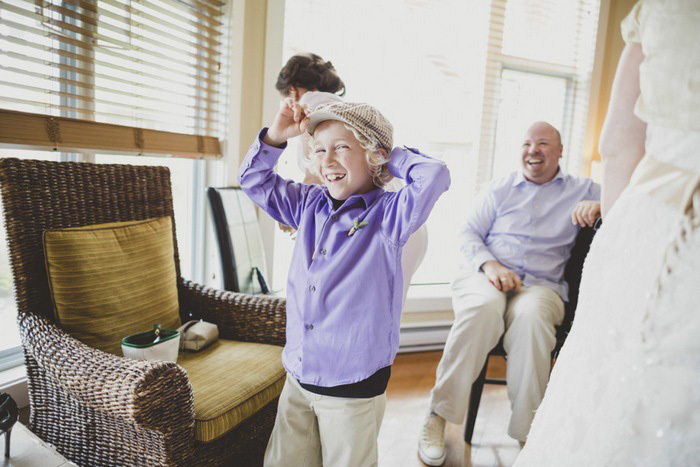 Having everyone feel like they were really a part of the day. 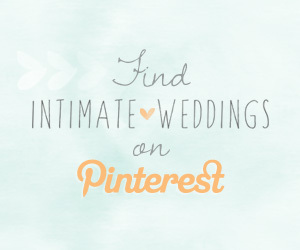 The more intimate, the better. 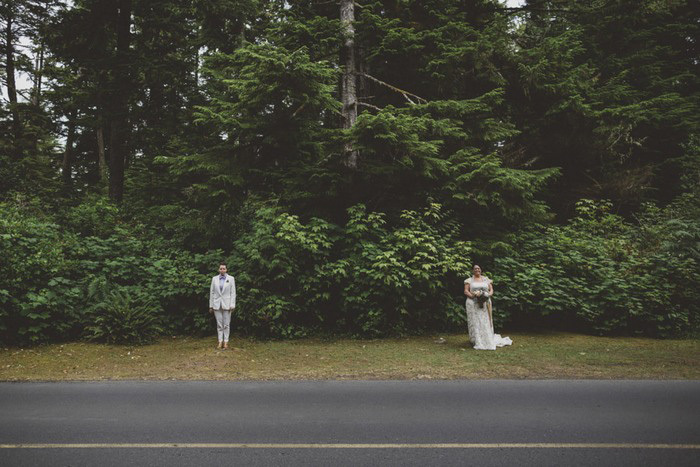 I found even with 75, I was not able to see everyone. 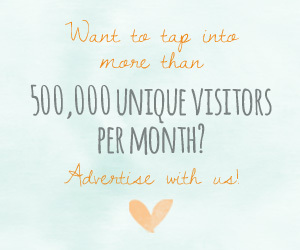 I feel like 50 would have been a better number.